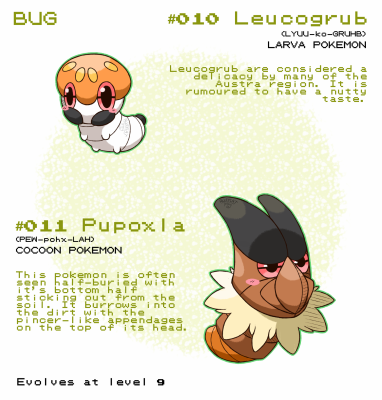 Discussion in 'Pokémon Chat' started by Carmen Lopez, Jul 6, 2010. Did you ever play the TCG or did you just collect, like me? I still have a binder full of cards that I keep in plastic covers to protect them XD This thread is dedicated to your favorite TCG cards--be it because you like the artwork or the attacks. They don't have to be ones you own either. I love the artwork on the cards because it gives an official alternative to the Sugimori art and we get to see the Pokemon in a different light. While I stopped collecting a while ago, I've seriously considering restarting because the art is so awesome. Without further ado, here are some of my favorites from my collection. Ampharos is cute in general, but I was thrilled to find this in a booster pack of cards ♥ I love the holo-ness and how Ampharos departs from its usual cute look. I played the TCG for a bit, but after Hoenn came out with new rules, I stopped. My deck is still around, though it hasn't been updated with Pokemon from Gens 3-4, and I don't plan on doing so. Children's Trading cards are expensive, especially if people recognize the card's potential in a competitive match. Her're a few choice cards from my deck. Back in the day, these cards were beastly. I remember them fondly because these two took down a This one Water Pokemon who I forget, and a Charizard respectively. Gotta love cheap energy costs attacks. I loved this card a lot. Mostly because everyone else who battled against it hate me for its attacks. A 50/50 chance of draining your opponent's health to just one damage counter os a pretty good deal, at least in theory. Now, I think I mentioned before, but one of my fave artists in the TCG is Kouki Saitou. His Eevee family artwork has to be one of my favorite TCG sets. Light Jolteon has the most adorable TCG art evr I think. My friend and I would buy each other these cards for our birthdays, so I always keep my favorites. I am a very big fan of dark Pokemon since the evilness looks awesome on these two. Team Rocket may be evil, but they have very tough Pokemon in my opinion. and finally: Wouldn't you be afraid if one was walking towards you like this? I really like this picture of Magneton for some reason. Magneton usually don't interest me much but this picture is just awesome. Same thing with this card; Illumise are usually kinda blah (I prefer Volbeat, and even them I don't like very much) but this card is so sweet. I love the childish style it's drawn in. The only thing I don't like is the yellow E-reader strip around the edges. Those always bothered me when I used to collect more. Cacnea doing laundry. This is adorable. It'd be more meaningful if I could upload the image of my own base set Charizard card, but it's not here right now. Regardless, this guy is probably still my favourite Pokemon trading card for nostalgic reasons. I got mine in my 2nd or 3rd booster pack way back when, and when I realized how much it was worth I treasured the silly thing like no other card. It's doubtful that the thing is worth much of anything now (someone prove me wrong if it is), but I still love it anyways. It became the central card of my deck and the source of many of my strategies. So, I recently stumbled upon my old Pokemon cards the other day. For fun, I decided to gather them, and meassure how tall the pile would be, since it was a quite big bunch of them (And no, I have not energy whatsoever to count them). I don't know if anyone here ever collected the cards, or still have them. But if you do, I'd like to know how many you got/how tall the pile is. And how you got them. Trade? Bought? Gift? I actually have a few cards... one of my sisters used to buy them with her allowance because she liked them. You couldn't actually play with them though, not enough energy cards. I also won a few packs as part of a contest once. Another of my sisters used to put a pokemon card in her ID tag for school. We used to do the same thing, except we scanned and edited our cards to look like Harry Potter or Naruto characters. I used to collect them for the pure lulz of it all. Now, I have an entire shoebox full of them at my dorm. When Rising Rivals came out, I actually spent tons of time trying to find Roark's Rampardos- and when I found one, I celebrated with my friends by sorting my cards on the floor of an elevator at 2 am. Good times. My deck is 22.0 CM = 3.5 In. = 266 cards. O_O. I have a lot of cards don't I. Pretty big. Keep the cards mostly in 60 decks. Whoa. Turtwig, my favorite of all pokemon. I started collecting when sinnoh was out. Merged Carmen's favorite TCG topic with Pokemon cards topic into the TCG discussion, since the subject is pretty much the same. Weell, I don't have pictures, but I LOVE the artwork of Elite Four Lucian's Gallade in the Platinum Set. Epic looking, man! I used to collect cards but now I dont because I have alot of stuff to buy but I once got a box of cards and when I opened it there was a spinarak card that said sugmori at the top instead of spinarak! Also there was a jynx that was spelt junx and there were loads of mistakes in the other cards I am pretty sure they were all fake! I went back to the shop where I bought them from to complain and I had to go through three people at the store before I got my money back. It was really hard to convince them that they were fake as the people knew absolutely nothing about the TCG. This one is the powerhouse of my Electric/Grass deck. I think that an electric Feraligatr is an awesome idea and the artwork just blows me away. Gengar is another one of my strong ones, but he is in my second deck, the Water/Psychic one. The artwork isn’t anything special, I just like his stats. 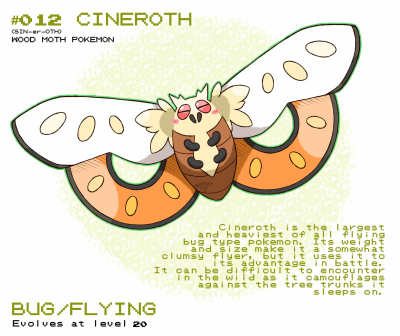 I don’t actually have this one, but I love Mothim and this artwork is brilliant. The stats aren’t anything special, but this is still one of my most wanted cards.